Every flat or slope roof system on the market today comes with some sort of warranty, from 30 years to a lifetime, depending on what product you choose. It’s easy to become confused about what exactly each warranty covers, but with the help of our knowledgable team, any warranty can be easily understood. Most homeowners do not realize that once they sign the warranty, they are contractually responsible for regular maintenance of their roof in order to keep the warranty in full effect. 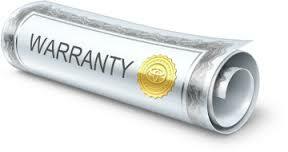 In fact, regular roof maintenance is one of the most commonly overlooked parts of a roof warranty. At a minimum, regular maintenance includes twice yearly inspections and repairs on your roof. This ensures that your roof will last longer and your warranty stays intact. There are hundreds of Vancouver Roofers in business today, so how do you know which one to choose? Easy! Choose the Vancouver Roofers who have been installing roofs and making roof repairs throughout the Lower Mainland since 1986! Choose the Vancouver Roofers who only use the best quality roofing materials! Choose the Vancouver Roofers with an A+ Better Business Bureau rating, and who are the proud recipients of the “Roofing Company of the Year” Award for the majority of years they’ve been in business. Affordable Quality Roofing has a dedicated crew of roofing professionals who stand ready to deliver a wonderful roofing solution, backed by the best quality workmanship and labour guarantee!